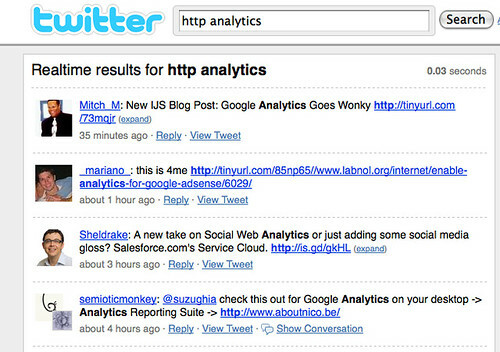 You can find the Twitter search tool at http://search.twitter.com. 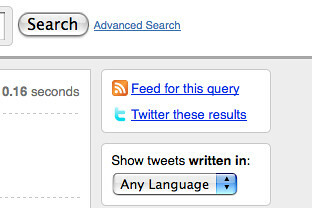 I actually call it in my browser using the keyword “tw” associated with a Firefox Keyword Search. 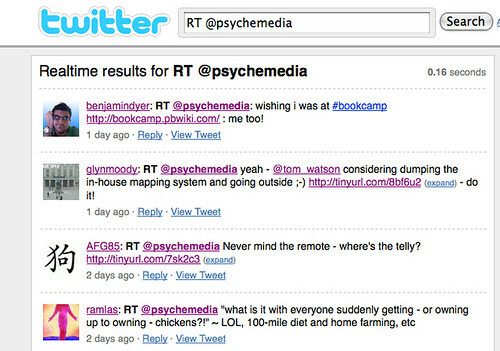 The “official way”, using a Twitter advanced search form – just select the “contains Links” option. This trick relies on a convention that has emerged in which Twitterers use the pattern along the lines ofRT @username “the original tweet”. 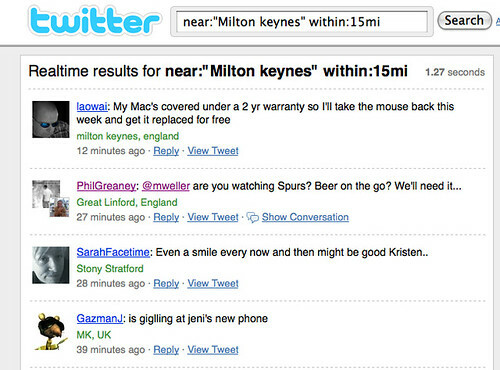 Want to know who’s recently been twittering (possibly) from nearby a particular location? Set the location options in the advanced search form, and run an otherwise empty query (i.e. no search terms in the search box). Now it used to be that you could search people’s biography or location strapline in Twitter, and find people to follow that way (that’s how I found several fellow Isle of Wight twitterers) , but that doesn’t seem possible using the “Find People” service at the moment? (And I can’t check to make sure, because the “Find People” service is temporarily stressed (i.e. down) again…). This works as follows – look for the search term, on twitter.com (site:twitter.com), but try not to return results from tweets (-inurl:status) or where part of the location appears in the user’s Twitter ID (-intitle:wight). 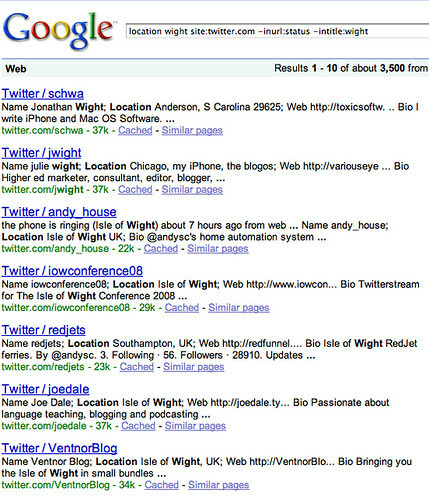 If an individual’s page is indexed when there’s a tweet showing that contains the search term, then you may get the page returned as a result. But more likely you’ll only get results from pages where the search term is always present, such as when it’s part of a person’s bio… In a sense, this is a bit like indexing a fixed set of web search engine indexable, on-page, bio/location meta-data. Tony, thanks for this it is helpful – I tend to approach twitter so conversationally that I forget it’s become its own environment for sharing and research, and so haven’t cultivated many of these techniques as well as I should have. Great post Tony – very helpful to get use out of a great tool like Twitter. Thank you so much for all of the info and links. I am new to Twitter and was having some difficulties finding people until now! Thank you so much. This is really helpful. 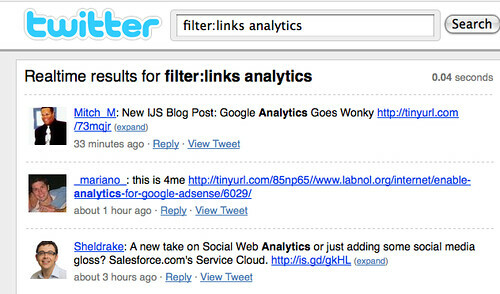 Friendfeed is slowly starting to acquire some powerful search tools that work wiothin the Friendfeed context….